"Singular, traditionally-made Barolos." – Robert Parker, Jr. Steadfast devotion to tradition combined with a high regard and respect for modern viticultural and winemaking techniques result in complex and elegant Baroli that are released for sale only when they have acquired perfect maturity. The estate produces three Baroli: two riservas and their anything but "regular" Bricco Boschis. The Vignolo cru, sloping 60-80 meters lower in altitude than the adjacent Bricco Boschis holding, shows a "creamy" flesh. The 2004 Riserva 'Vignolo' rated 92-95 from Advocate. The estate's selection of the finest vineyard within the Bricco Boschis cru is San Giuseppe (also 92-95 from Advocate for the 2004 Riserva), the epitome of Castiglione Falletto: a powerful, majestic wine of absolute authority whose sweetness comes with time. Their Barolo Bricco Boschis is a cru in and of itself and consistently receives 90+ point attention from the wine press (90-92 from Advocate for 2006). 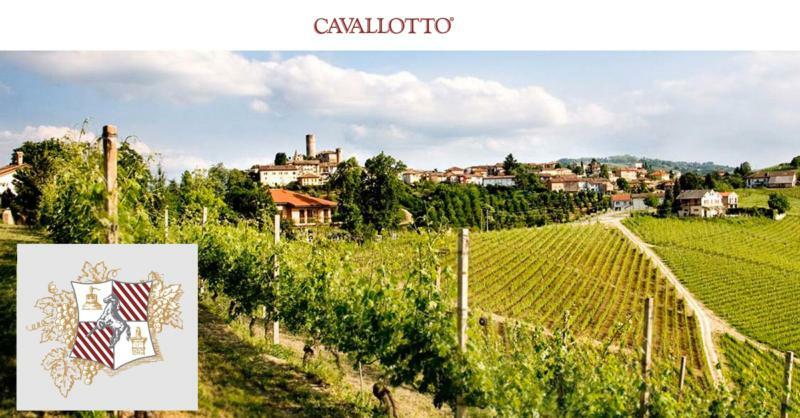 Cavallotto also produces a stunning line-up of "little guys": Dolcetto 'Scot,' an incredible value, rich and complex; Barbera 'Cuculo,' sinewy and fleshy, with an astounding texture; Nebbiolo Langhe from completely declassified Barolo Bricco Boschis that shows its pedigree, and a remarkably harmonious Freisa (91 points from Tanzer for 2006). Also notable are two unique whites, both from Champagne clones planted 35 years ago in the Bricco Boschis cru: a steely Langhe Bianco, Pinot Noir vinified white, and a refreshing, all-stainless Chardonnay. Wine Spectator 92"Displays fresh plum and berry aromas, with undertones of mineral and dried flowers. Full-bodied, with refined tannins and a long finish. A solid wine for the vintage. Best after 2011. 1,580 cases made." ~J.S. Robert Parker 94"Medium ruby. Highly aromatic nose, showing spices, minerals and very ripe fruit, with flavors of dark stewed fruits, this is a wine of excellent length with plenty of sustain on the palate. Still very much in its youth." Wine Spectator 94"Loads of plum, chocolate and spices on the nose here. Full-bodied, with supersoft tannins and a long, rich aftertaste. This gives you loads of everything in a reserved, determined way. Better than the 2000. Best after 2008. 1,760 cases made. (JS)"